A soft, vintage-feel full-grain leather belt made from genuine italian leather. 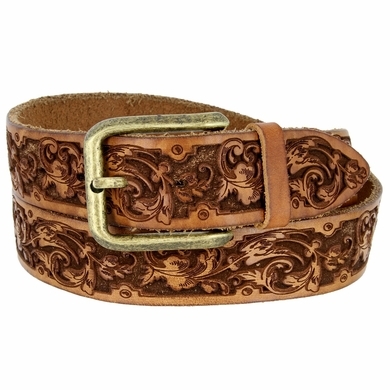 Classy floral pattern featuring an antique brass buckle. Laser engraved and hand-washed. 1-3/8" wide.